I saw bits of the film Human Harvest by Leon Lee last night on SBS Dateline. It seemed like fairly blatant Farlun Gong propaganda, and disappointingly there was little questioning of the claims or those who were making them. I'm no apologist for the Chinese government and you can read my previous reporting on the problems with illegal and unethical organ transplantation in China here. 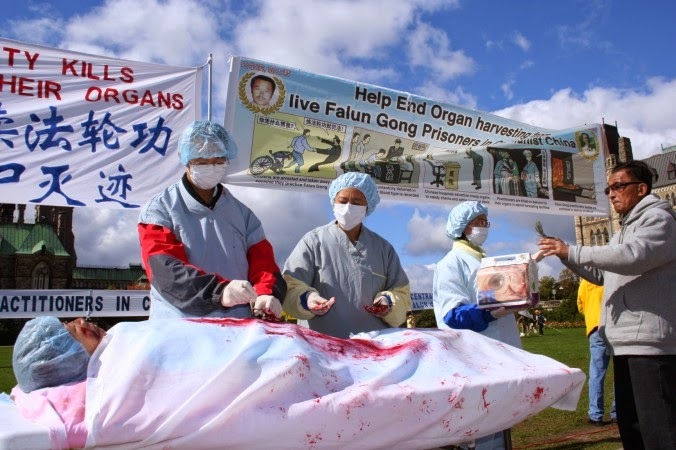 However, I think the FarlunGong claims made in the Human Harvest program are more to do with political propaganda and the agenda of the cult rather than reality of organ transplantation in China. 1. The claims about an Auschwitz-like camp in which 4000 FarlunGong supporters were murdered for their organs have never been supported by any evidence. 3. Why have the Farlun Gong claims not been supported or taken up by reputable human rights organisations such as Amnesty International or Human Rights in China or reputable medical groups such as The Transplantation Society? 4. Why have claims not been accepted by the United Nations Special Rapporteur on Torture, who sent personal rapporteurs to China to investigate? 5. Why there no independent evidence and no allegations from people or medical staff not connected with Farlun Gong? 6. China has a prison population of 2 million – if it was such a lucrative trade, why would forced organ harvesting only be targeted on a tiny group such as Farlun Gong? 8. Those making claims about forced organ harvesting belong to Neocon think tanks such as “the Foundation for Defense of Democracies” who have previously been accused of peddling "alarmist rhetoric and fear mongering". 9. Why has Farlun Gong put a block on the Wikipedia page relating to their claims on organ harvesting? 10. What has been the role of Farlun Gong cult founder Li Hongzhi in these claims – what is his background in the Party and his agenda in opposing former PRC leader Jiang Zemin?